You may Download the Entire Book of Pictures Here. 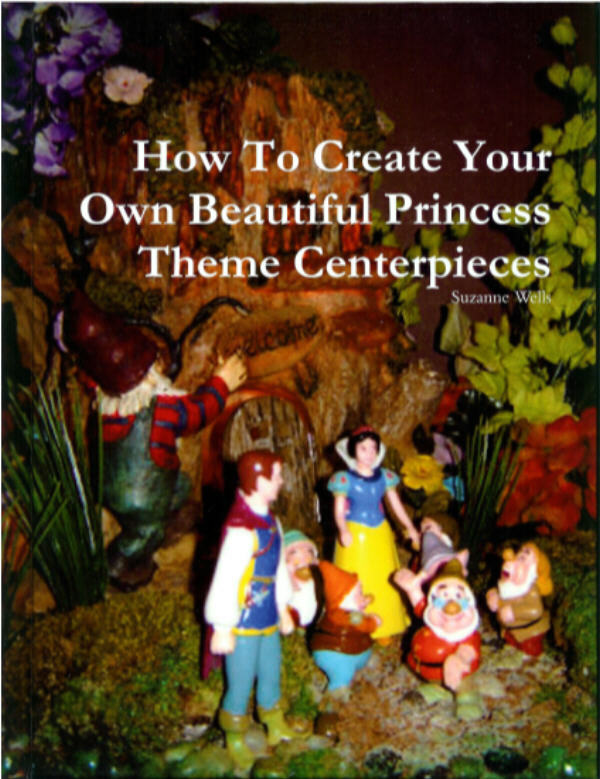 The title of the book is "How to Create Your Own Beautiful Princess Theme Centerpieces"
Take a look at the cover picture on the hard copy of our centerpiece design book. You will see they are detailed and unique. You may also purchase each picture separately. We sell the actual picture of our creations, so that visitors are free to have other design houses make the centerpiece designs for them from the picture.You will never see them anywhere else, unless someone bought the book or we made the centerpiece for them. These are our exclusive designs. If you would like to order the centerpieces to be custom made for you, please click the button under the description. Please note it takes 2 to 4 weeks for most of the centerpieces to be designed and delivered, as we do not stock many of the items, parts, and decorations used to make the completed design and acquire them as needed to make your order. Please inquire about the timeline if you need many centerpieces or several different designs. We will respond within 24 hours of your request. 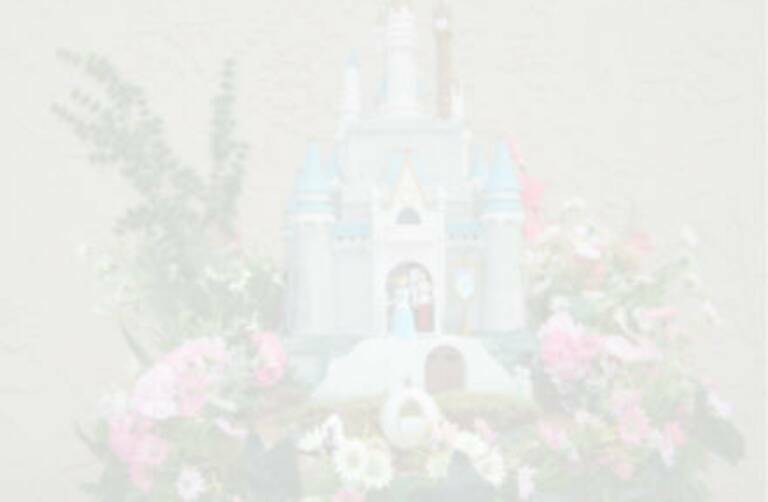 PURCHASE THE SINGLE PHOTO OF Cinderella Castle Centerpiece ONLY FOR $5.99. It will be delivered to your email box within 24 hrs once your payment is verified. It is non-refundable. Snow White and The Dwarfs and the Prince reunite at the dwarf cottage deep in the woods. The Evil Queen/Witch is lurking nearby. There is a battery operated candle that can be inserted into the house to provide light and makes the cottage glow beautifully. Cottage style varies and is subject to availability at time of order. Cottages are made of either wood or ceramic. The figurines are made of hard plastic resin, known as PVC. The centerpiece is extremely detailed and realistic and is handcrafted to perfection. 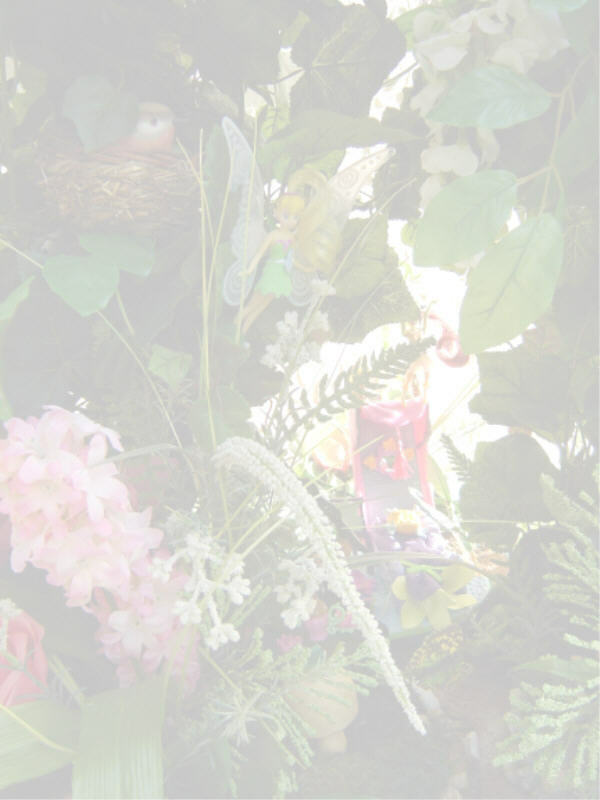 The artificial flowers and greenery are a mix of real moss and silk artificial and will last a lifetime. The figurines are made of hard plastic and range from 3 inch dwarfs to 5 inch Prince and Princess and Witch. The cottage is 12 inches high. Price $150.00 + $25 shipping (UPS ground 5-7 days) within the continental USA. Ground Shipping cost is automatically added in the shopping cart. Subject to availability of figurines. Centerpiece Size 14" square base X 18" high. Snow White in the Forest with the Witch approaching the cottage. *Price $149.00 + $25.00 shipping. (*The Witch figurine is subject to availability. The Witch figurine varies. All are Disney® originals figurines). (Centerpiece Measurement 24" high X 18" base.) Purchase the book CD for full page color pictures of each centerpiece below. 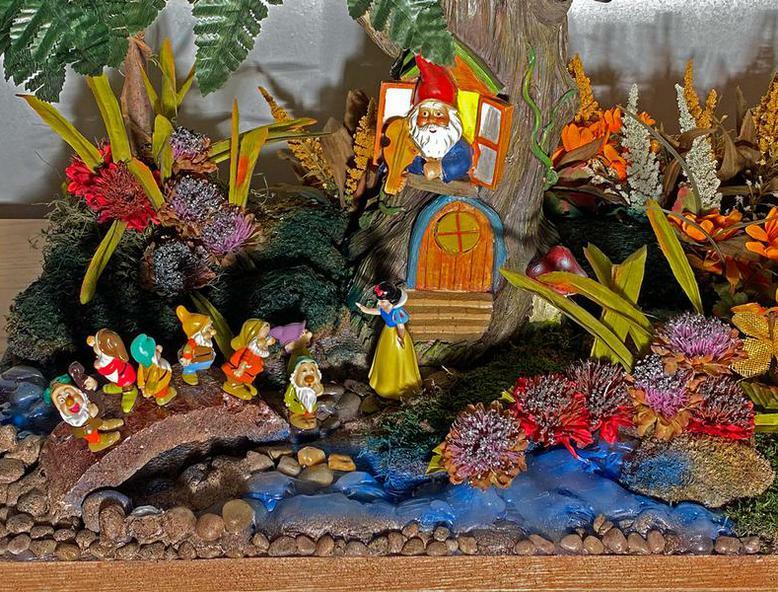 This centerpiece is a scene showing Snow White as she hid in the cottage deep in the forest, but the witch found her anyway and brought her the basket of poison apples. It is pictured in our book of centerpieces, which you may buy below. This would be a custom order subject to the availability of the figurines. It would require 3-4 weeks from date of order to delivery. If you would like to order many centerpieces or a variety of designs please click the envelope. Beauty and the Beast centerpiece features Belle, The Beast and all the characters. The ornate decorative glass window casing is a square pillar candle holder which holds a large pillar candle. Candle and metal stand included. Beauty and the Beast, Beauty and Gaston with the enchanted household characters, Lumière the candelabra, Mrs. Potts the teapot and her son Chip the tea cup and Cogsworth the clock and head of the household. One of each centerpiece arrangement is currently available. Please contact us for multiple centerpiece orders. Centerpiece on Metal Stand Measurement 31 inches high X 14 inch wide spread from flower tip to tip. Centerpiece Price $99.00 plus $25 shipping (UPS 5-7 day ground) within the continental United States. You may Buy one Now! The shipping cost is automatically added and includes insurance. If you desire more than one of any of these centerpieces a custom order may be placed by contacting us. Cinderella Castle Centerpiece is a detailed design with a large castle, Cinderella and the Prince and the horse drawn coach. Cinderella Castle Scene Centerpiece with Cinderella and The Prince. Centerpiece Measurement 26 inches high X 33 inch wide spread from flower tip to tip on a 17inch square wide base. There is also a light in the tower operated by battery. More lights can be added to the floral arrangement area if you would like. Please let us know. Centerpiece Price $225.00 plus $25 shipping (UPS 5-7 day ground) within the continental United States. The clock was ticking away as Cinderella ran from the Palace losing her glass slipper. The Prince would find the slipper and search the Land far and wide for his Cinderella. Cinderella Pumpkin Carriage, including Princess Cinderella and the Prince and two horses. The coach is decorated in faux pearl beading, sheer organza ribbon and feathers. Cinderella Pumpkin Coach and Horses Measurement 10 inches high X 18 inch wide. Includes Cinderella and the Prince. Centerpiece Price was $89.00 NOW $69.00 plus $12 shipping (UPS 5-7 day ground) within the continental United States. This coach may be ordered in small, medium or large. Please let us know the expected delivery month/year and the quantity. Princess Jasmine on an expedition to the town markeplace guarded by Alladin, the Tiger and the Magic Carpet. Mickey Mouse and Minnie Mouse in an enchanted garden. This heart shaped Mickey and Minnie centerpiece is colorful and pretty in pink bluebells and other white and cream flowers. The garden size statues of Mickey and Minnie are each 13 inches tall. The entire centerpiece measurement is 33 inches wide X 23 inches high X 18 inches deep (i.e. from front to back). Mickey and Minnie Centerpiece Price $125.00 + $25.00 7day ground shipping within the continental United States. The ground shipping is automatically added. If faster shipping is desired, please choose that in the shopping cart. Subject to availability of figurines. Tinkerbell, Peter Pan and Captain Hook and the Crocodile. Captain Hook was a fierce pirate, but Peter Pan and Tinkerbell out smarted him and saved Never Land. That is the theme of this centerpiece. 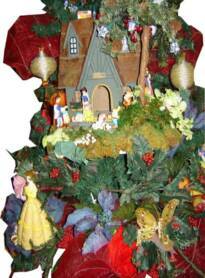 Centerpiece Price $149.00 + $25.00, subject to availability of figurine characters. This item must currently be custom ordered. 2CheckOut.com Inc. (Ohio, USA) is an authorized retailer for goods and services provided by Royal Gift Basket Corp.. Ground Shipping is within the Continental United States only. Please inquire about International shipping. The name Royal Gift Basket will appear on your credit card statement. Prices are in U.S. Dollars. Tinkerbell and her fairy friend retreat to their cozy hideaway in the forest. 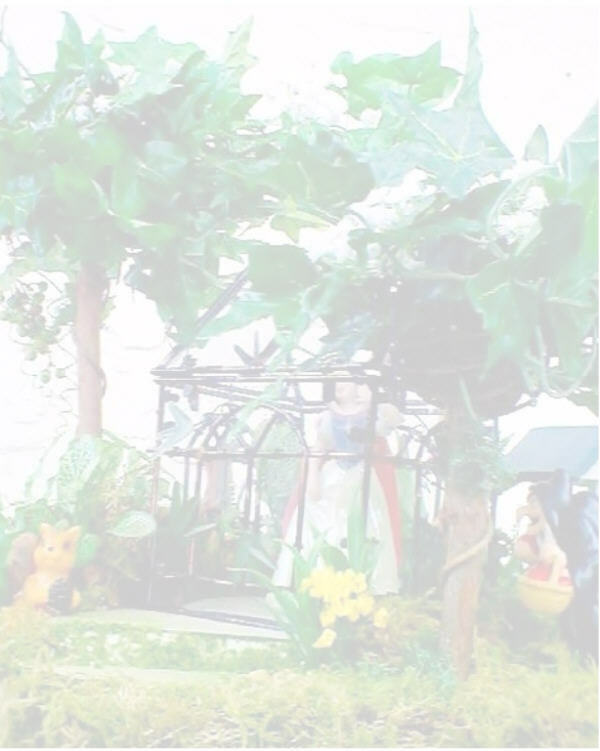 Artificial flowers and greenery, fairy figurines and forest creatures are some of the details in this centerpiece. Centerpiece includes 10 battery operated miniature clear light bulbs that glow in the trees. Price $150.00 + $25.00 7day ground shipping within the continental United States. Measurement approximately 18" wide X 24" high. Subject to availability of figurines. The Seven Dwarfs on their way home through the forest to their cottage. Talking, whistling, singing and laughing as they cross the stream and walk up the path to the little cottage nestled deep in the woods. (No sound comes from the centerpiece). The characters appear to laugh, talk and play. Price $149.00 + $25 7day ground shipping. Subject to availability of figurines. Size "18" Base X 24" High . The Little Mermaid, Ariel in a scene under the sea is the theme of this centerpiece. The glass bowl measures 55 inches around the circumference and the entire arrangement is 30 inches high including the glass stand. The bowl is not attached to the stand and can be removed. Price $150.00 + $25.00 7day ground shipping within the continental United States. Subject to availability of glass bowl and figurines. Centerpiece includes the Little Mermaid carriage, the Little Mermaid 11inch doll and leaping dolphins, and is decorated with sequined coral fans and sea shells and glass bubbles and variety of artificial plants and flowers. The base is covered in molded paper. Price $159.99 + $35 ground shipping. Expect ground delivery within 5-7 business days. Shipping only within the continental USA. Ground shipping will be automatically added in the shopping cart. The Little Mermaid and the Prince Wedding Centerpiece is the theme of this centerpiece. The centerpiece measures 15 inches wide and is 31 inches high with the stand. Price $99.00 + $25.00 7day ground shipping within the continental United States. Subject to availability of figurines and stand. Stand may be substituted for another if not available, and similarly decorated and designed. PURCHASE THE SINGLE PHOTO OF THIS CENTERPIECE ONLY FOR $5.99. It will be delivered to your email box within 24 hrs once your payment is verified. It is non-refundable. 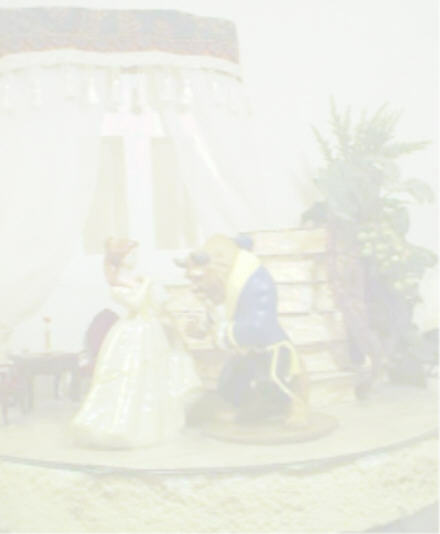 PURCHASE THE SINGLE PHOTO OF Beauty and the Beast CENTERPIECE ONLY FOR $5.99. It will be delivered to your email box within 24 hrs once your payment is verified. It is non-refundable. PURCHASE THE SINGLE PHOTO OF Beauty and the Gaston CENTERPIECE ONLY FOR $5.99. It will be delivered to your email box within 24 hrs once your payment is verified. It is non-refundable. PURCHASE THE SINGLE PHOTO OF Beauty and the Household Characters CENTERPIECE ONLY FOR $5.99. It will be delivered to your email box within 24 hrs once your payment is verified. It is non-refundable. PURCHASE THE SINGLE PHOTO OF Jasmine and Alladin Centerpiece ONLY FOR $5.99. It will be delivered to your email box within 24 hrs once your payment is verified. It is non-refundable. 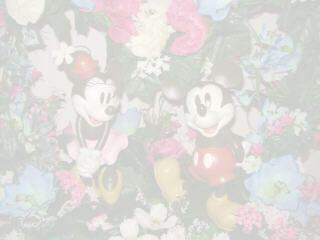 PURCHASE THE SINGLE PHOTO OF Mickey and Minnie Enchanted Garden Centerpiece ONLY FOR $5.99. It will be delivered to your email box within 24 hrs once your payment is verified. It is non-refundable. 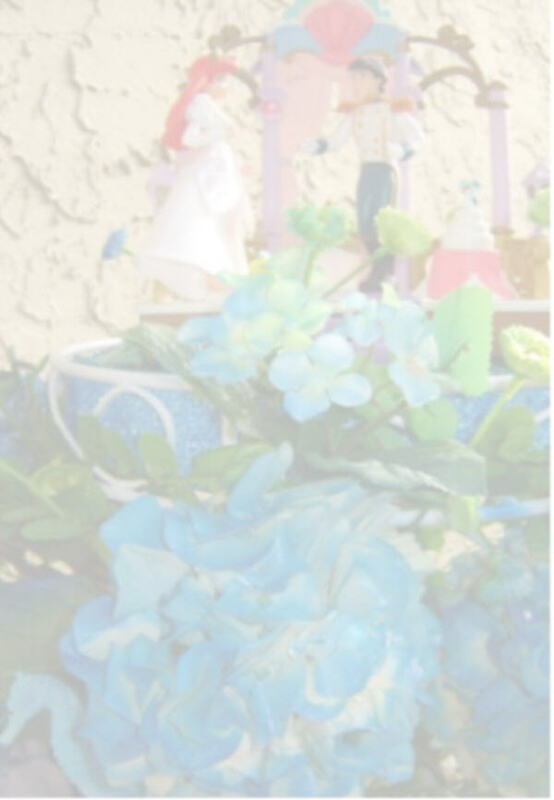 PURCHASE THE SINGLE PHOTO OF Tinkerbell and Peterpan Centerpiece ONLY FOR $5.99. It will be delivered to your email box within 24 hrs once your payment is verified. It is non-refundable. 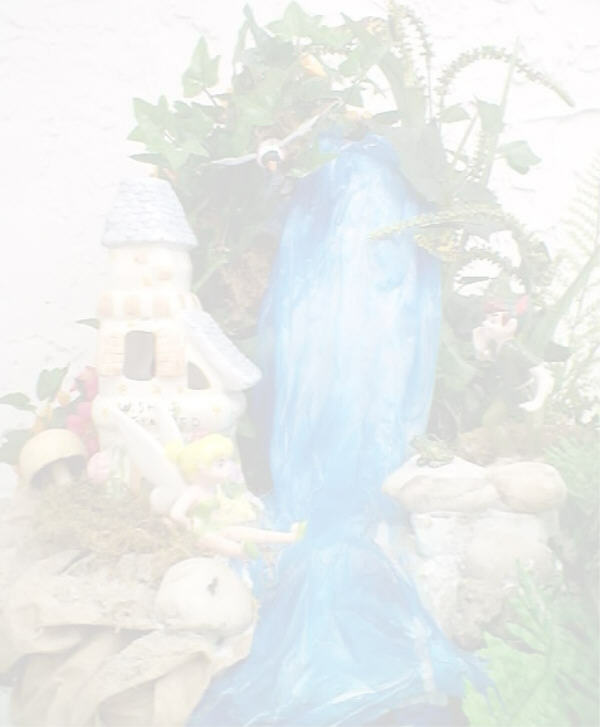 PURCHASE THE SINGLE PHOTO OF Tinkerbell in the Fairy Forest Centerpiece ONLY FOR $5.99. It will be delivered to your email box within 24 hrs once your payment is verified. It is non-refundable. 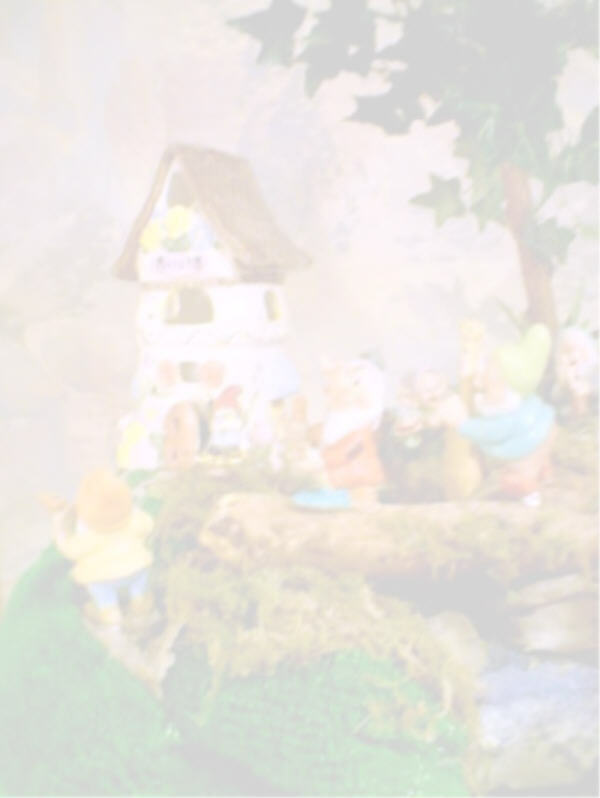 PURCHASE THE SINGLE PHOTO OF The Seven Dwarfs Marching Home Centerpiece ONLY FOR $5.99. It will be delivered to your email box within 24 hrs once your payment is verified. It is non-refundable. 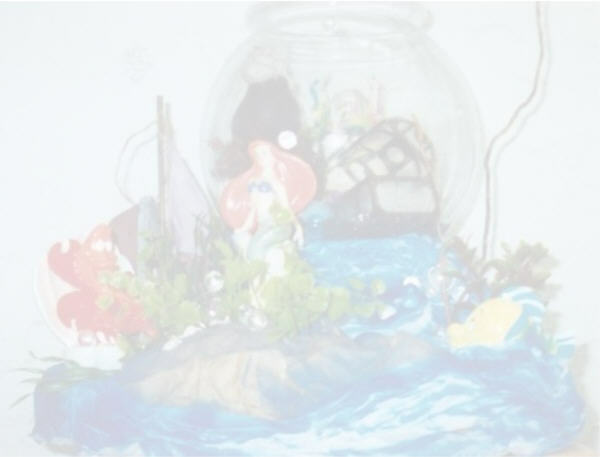 PURCHASE THE SINGLE PHOTO OF The Little Mermaid in her Grotto Under The Sea Centerpiece ONLY FOR $5.99. It will be delivered to your email box within 24 hrs once your payment is verified. It is non-refundable. 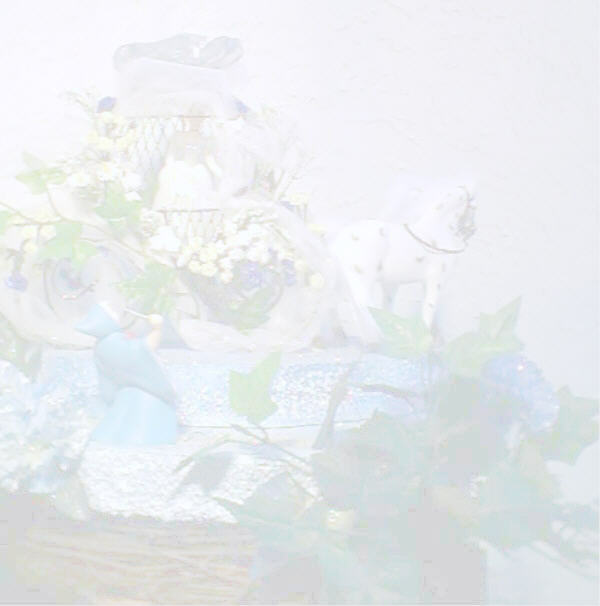 PURCHASE THE SINGLE PHOTO OF The Little Mermaid Dolphin Carriage Centerpiece ONLY FOR $5.99. It will be delivered to your email box within 24 hrs once your payment is verified. It is non-refundable. 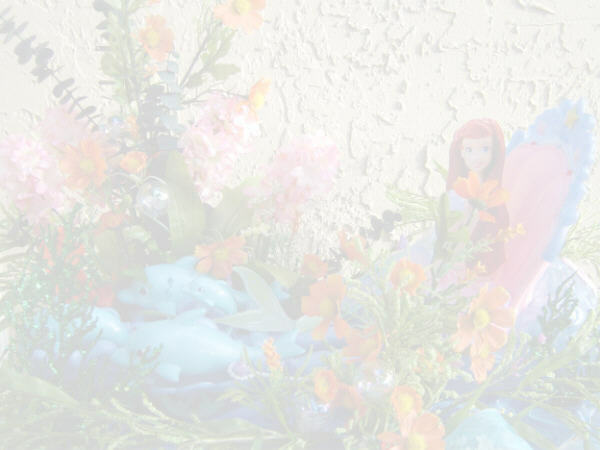 PURCHASE THE SINGLE PHOTO OF The Little Mermaid Wedding Centerpiece ONLY FOR $5.99. It will be delivered to your email box within 24 hrs once your payment is verified. It is non-refundable. with SUPER SAVER FREE SHIPPING at Amazon.com. You may also purchase the Beautiful Hardcover copy of this book. Please scroll down the page for descriptions and pricing for each centerpiece if you would like to place an order. Our book shows the pictures of the centerpieces and details instruction on how you can create the centerpieces yourself and save.